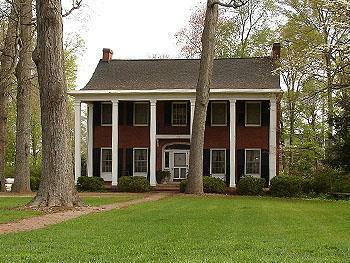 Find information on buying or selling Fort Mill SC properties, such as a house, condominium, townhouse, lot, acreage, luxury property, new home construction, waterfront home, retirement property, or investment property here. We specialize in Fort Mill, South Carolina real estate. Let the expert York County, South Carolina Realtors® from Homes in the Piedmont help you throughout the real estate buying or selling process anywhere in the Fort Mill area. Search now for FORT MILL homes, condos, and properties. 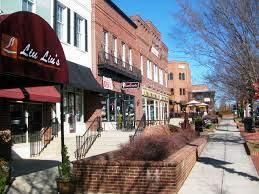 The Fort Mill SC area is a great place to live! 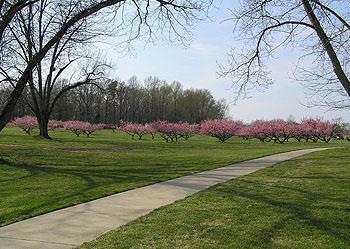 The Fort Mill School district is one of the state's best, and Fort Mill offers a variety of neighborhoods. Whether you like the contained community of Baxter, the golf community of Springfield, or the luxury homes found in the Palisades, we can help you find the perfect home. Already know which area you are interested in? Looking for some suggestions? Contact us today, and we will be happy to discuss any questions you might have! Free South Carolina Listings for Fort Mill and More! SELLING A HOME IN THE FORT MILL SOUTH CAROLINA AREA? Considering selling your Fort Mill SC house, condominium, townhouse, lot, acreage, new home construction, 2nd home, vacation home, waterfront home, retirement property, or investment? The first thing you need to know is how much your home is worth. By being well-informed on market trends in Fort Mill SC area can give you the best chances of selling your home quickly and for the best price possible. Contact us to request a free (C.M.A.) Comparative Market Analysis of your home in Fort Mill, South Carolina. You will then have the knowledge you need to price your home for the current market. Use our free home search feature to find comparable homes for sale, too. Keep in mind, with the advancement of technology these days it is very important to stay ahead of the curve. We take advantage of the newest technologies to make sure your South Carolina property has a strong presence on the Internet. Let's say for example that someone is looking for real estate in Fort Mill or a Realtor in Fort Millor Fort Mill. They have a much higher chance of finding this site, and in turn YOUR listing. Contact us today, and we will be happy to give you more information about my seller real estate services. BUYING A HOME IN THE FORT MILL SOUTH CAROLINA AREA? When there are a lot of South Carolina homes for sale, and it takes a long time to sell them, that's a "buyer's market." In most of the country, that's the current situation. Even though that is true, finding the perfect SC properties, such as new homes, golf course communities, gated communities, luxury homes, custom homes, condos, townhomes, a retirement community, land, vacation homes, second homes, waterfront property, or investment property in Fort Mill SC or the surrounding areas can sometimes be challenging. You can find it here, though, on our Fort Mill, South Carolina real estate website. In fact, get the relocation, moving, financing, first time homebuyer or foreclosure help you need, too! You can also make your homes for sale search easier, and become a VIP Buyer. Get immediate information on ALL new homes for sale and other real estate listings that match your criteria emailed directly. Email us at elaine.davis@allentate.com and put VIP BUYER in the subject line. In a short time you will receive information be able to schedule showings for homes that interest you. As always, if you have any questions about the Fort Mill real estate market, or finding that perfect homes for sale here in South Carolina, please let us know! Thank you for visiting Homes in the Piedmont - your Fort Mill South Carolina Real Estate Information Source! We strive to provide the highest quality of service to all of our clients while making each transaction as profitable, professional, and stress-free as possible. You can use our services and expertise with confidence. Contact us today for information on your next real estate transaction. SIMPLY CLICK THE EMAIL LINK BELOW, and we will contact you promptly.